Brisbane Window & Solar Panel Cleaning are your commercial window cleaning Brisbane professionals, offering cost effective window cleaning services for commercial properties in all shapes and sizes. Whatever your requirements may be, we have the perfect solution to suit your needs and budget. When it comes to commercial and high rise window cleaning in Brisbane, we have the expertise and knowledge to get the job done efficiently and quickly, working with maximum productivity to make your business and its glass shine and sparkle. No matter the type of a commercial building that needs proper window cleaning or how high or how hard it is to reach, we are the masters in safely tackling these tough locations and providing efficient abseil cleaning around Brisbane. Whether you require a one-off Brisbane window cleaning service or would like scheduled abseil cleaning to keep up the appearance of your high rise building, we can help you. And much more! 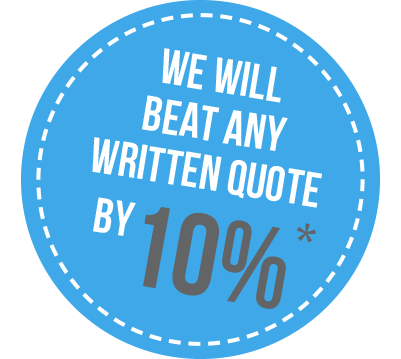 Regardless of the type and size of your business, the first step is for us to have a chat with you and create a quote that’s specific to your property. This can be done via our support call centre, who can arrange a quick onsite visit from one of our friendly and professional window cleaning team members. Just with all aspects of your business or company, you not only want to make a great first impression, but a lasting impression. Having a clean, tidy and presentable business premises goes a long way in maintaining a professional image. This includes your windows and glass, which are easy items to overlook and keep clean – especially when day-to-day business operations take priority. It’s something that should not be underestimated, however, as having sparkling, immaculately clean windows can have a massive effect in the lifting the appearance of the entire property. If your business uses window displays to show off and highlight products, you need to ensure the glass is clean and provides clear visibility. The last thing wanted is having products shown in poor light due to having them sit behind dirty, stained and marked glass windows. If you’re in a large building, with windows up high directly out of line of sight, using a trusted high rise window cleaning Brisbane service like us can be highly beneficial. Sparkling windows send a message to clients that the business takes pride in its appearance and location, communicating a sense of professionalism and self-respect through efficient window cleaning. For effective results in cleaning windows, especially commercial windows, having a dedicated, experienced cleaning team goes a long way to achieving the best outcome. Brisbane Window & Solar Panel Cleaning have skilled professionals ready for the hardest, toughest window cleaning tasks on your commercial property. Better yet, they do it with as little interruption to your day-to-day business operations as possible. Our team are fully trained and equipped to clean safely your commercial property, regardless of its size. We take safety requirements very seriously at Brisbane Window & Solar Panel Cleaning, not just for our cleaners but also to ensure you, any workers and the property are not injured or damaged. And for those unforeseen events that no one has control over, we are fully insured for peace of mind. The cleaners in our employment follow strict OH&S guidelines that are regularly reviewed and updated and are trained by professional industry bodies in the skills required for their work. All cleaners are also certified in ISO 900, meeting the Australian safety standard for working at heights and performing high rise window cleaning services. When selecting us, you know you are getting real expertise from qualified, true commercial window cleaning Brisbane specialists. Due to the different dimensions and heights of commercial buildings, specialised Water Fed Pole Pure Water cleaning equipment may be used to reach inaccessible windows. On certain buildings, we may use lift equipment or our abseil cleaning team may be the ideal option. Be assured our staff are experts, no matter what technique is needed to accomplish the best window clean for your business. They are also experts where it counts – getting your window glass polished and spotless. We know the techniques and have the products to achieve amazing results. It doesn’t matter how high up or how difficult the windows are to clean; you can be sure our cleaners will do a complete job and never cut corners. We want you to be 100% satisfied with our consistent, thorough commercial window cleaning that lifts the appearance of your Brisbane based business or company. For the best results – particularly in high rise window cleaning or abseil cleaning – specialised equipment should be used by qualified cleaners. Brisbane Window & Solar Panel Cleaning use industry standard equipment for amazing results with your windows. Work equipment depends on the size, height and accessibility of your commercial premises and its windows. Regardless of shape and dimensions, you can be confident we have the equipment for every required job. Our water-fed pole systems use purified water (a term called Pure Washing) in high rise window cleaning and other difficult-to-clean areas around Brisbane where windows are present. These systems are used from the ground where they can extend up to 20 metres in height, allowing a trained professional to give your windows a thorough clean from the ground. The pure water used ensures windows are scrubbed of dirt, dust and droppings, before being rinsed away leaving a spotless, streak-free finish. We get fantastic results using our water fed poles, and better yet, since it can be done from the ground, there is little interruption to your workplace. No daredevils, just qualified professionals who know how to get your windows sparkling without doing any damage. With a team of rope experts, no high rise window cleaning Brisbane job is too tough for us. We bring the abseil cleaning equipment with us and at the end of the task, we pack up and leave nothing behind except stunningly clean windows. Abseil cleaning can be a time effective solution, being a faster procedure to complete than using traditional lifts and scaffolding. It bypasses many of the requirements needed by other forms of conventional building cleaning, such as flat ground for lifting equipment, power access, or different kinds of permits. Cleaning from an exterior lift is an option when abseil cleaning and water fed poles are not economically viable. Lifts can be a good choice for medium sized buildings, which still require height – but not at the level where using other equipment wouldn’t be cost effective. We have lift systems ready to go, with safety precautions in place to ensure an efficient clean. We also like to use Unger Pure Water Window Cleaning Pole Systems. At Brisbane Window & Solar Panel Cleaning, we know each building and business have different requirements. This is why we don’t take a one-size-fits-all approach to window cleaning. Rather, we take the time to assess your needs and what will be the most cost effective and efficient way to make your windows shine. Your tailored quote will contain all aspects of the window cleaning Brisbane service you require and a brief outline of our suggested methods to obtain the highest quality results in the minimum time. On acceptance of your quote, we will agree upon a time that is suitable to your business for us to complete the task with the minimum interruption to your operations. If possible, this will be done outside your normal business hours to ensure minimum interruption. Contact us to see how we can make your business shine either with a one-off clean or scheduled routine cleaning. For an obligation free discussion, call us on 1300 795 797 today.